Have you ever gone to work feeling sluggish and low on confidence? Are you anxious about getting a promotion but lack courage to talk to your boss? Or you're under the weather but you can't afford to miss a day at work? Well, you are not alone. Hundreds of people go through this every single day. Good thing therapeutic grade organic essential oils can help with all these. Read on to find out more. Are you feeling down in the dumps? Do you wish you had more confidence but you don’t know what to do? So how do we become more confident? 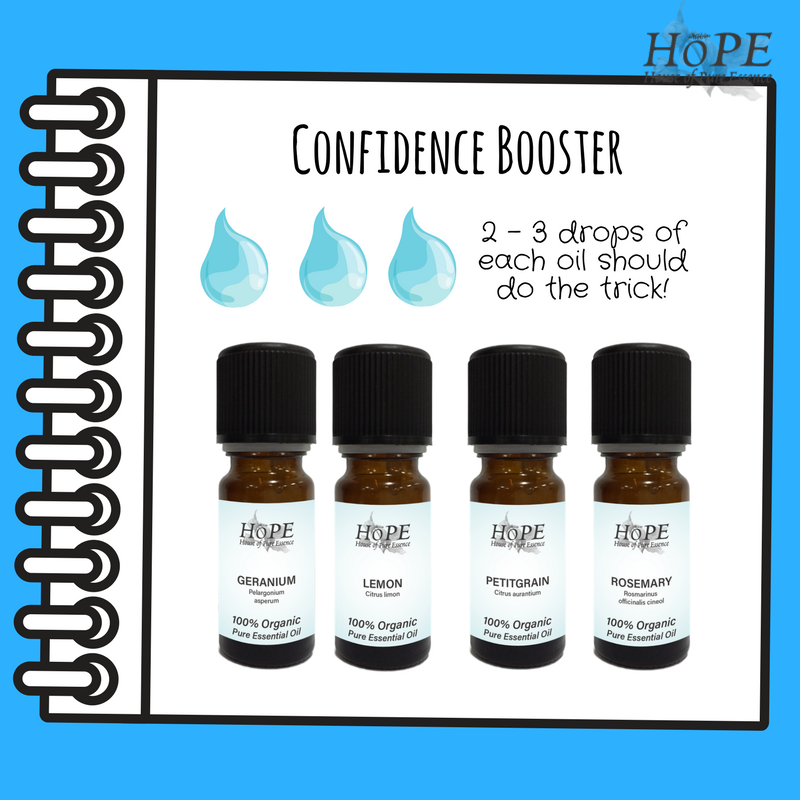 Is it possible to boost that confidence with essential oils? The answer is yes! Essential oils can help boost confidence by relieving stress and anxiety that comes with facing people and situations that make us feel uncomfortable. Follow this simple recipe to give you the boost that you need. Mix some lemon oil, petitgrain oil, rosemary oil and geranium oil in your diffuser. You will want to add 2-3 drops of each oil in order to get the best result, and then place the diffuser near your work space. This can work wonders if you have an upcoming interview that you really want to shine for. 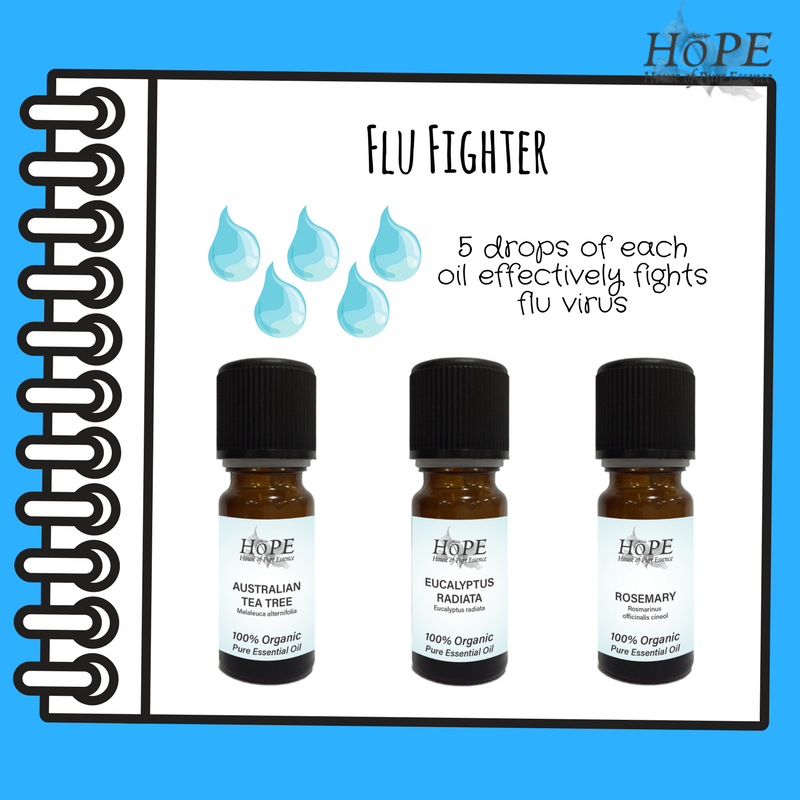 The flu seems to go around at work every single day, so if you want to avoid all of this and stay healthy throughout the winter months then you need to try this flu prevention mixture. In open spaces, viruses spread very quickly and mould spores can circulate as well. All of this can have a huge impact on your health. If you want to put an end to the worry of becoming ill then try and mix 5 drops of tea tree oil, rosemary oil and eucalyptus radiata. That’s 15 drops in total, in your diffuser. Try and keep this close to your work desk if you can, as this will help you to get the best result out of it. Oils such as lavender and petitgrain are ideal for stress relief. If you want to calm down after a long day or if you just want to sit back and relax without having to worry about the world and what it has in-store then one thing that you can do is try this relaxing mixture. Try and mix 5 drops of lavender oil with 5 drops of petitgrain oil. When you do this, it will help you to de-stress and it will also help you to take things slow and really unwind. This is ideal if you have had a really long day. So as you can see, all of these oils can be combined together to give you a really good experience. They are great if you want to experience all of the benefits that come with an aromatherapy diffuser and they are also great if you want to really relax after work. We have all of the above oils available in our online store and we are always more than happy to work with you to make sure that you are happy with your purchase. If you want to find out more about the oils that we have available or if you want to find out if we have something suitable for you then the first thing that you need to do is get in touch with us today. We would love to hear from you and we are very excited to show you why we are the best oil provider in town! If you want to relax or if you want to find out what other oil combinations you can use then we would love to help you with that as well.